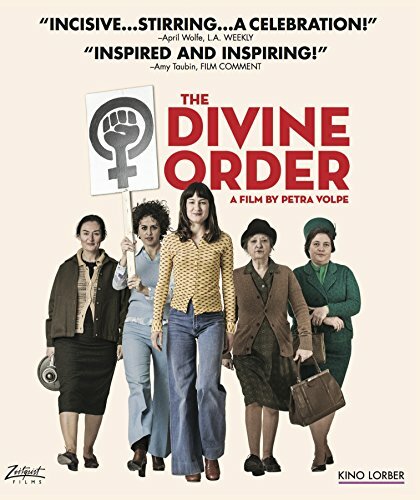 The Divine Order is set in Switzerland in 1971 where, despite the worldwide social upheavals of the previous decade, women were still denied the right to vote. When unassuming and dutiful housewife Nora (Marie Leuenberger, winner of a Best Actress award at Tribeca) is forbidden by her husband to take a part-time job, her frustration leads to her becoming the poster child of her town s suffragette movement. Her newfound celebrity brings humiliation, threats, and the potential end to her marriage, but, refusing to back down, she convinces the women in her village to go on strike...and makes a few startling discoveries about her own liberation. Uplifting and crowd- pleasing, this charming, captivating film is a time-capsule that could not be more timely.